A 10kg washing machine needs to deliver on a lot of fronts. As a larger appliance, it should be stronger and more versatile than smaller models. It should also be easy to program for tailored clothes washing that can save money with every load. Intelligent ASKO 10kg washing machines reciprocate with versatile wash cycles and time saving functions for busy households where clean washing is a must. How much water does a 10kg washing machine use? ASKO front loading washing machines use less than half the water of a top loader of similar dimensions. In addition, front loading washing machines don’t use a central agitator where clothing can get damaged and torn. The result is a more spacious washing machine where clothing has room to wash and tumble without becoming bunched and unmanageable. When you consider that a top loading washing machine might use up to 150 litres of water per wash, it makes sense to cut way back to around 35-40 litres of water per wash load. 10 kg ASKO washing machines will help you cut back on water, assisting with environmental sustainability. ASKO front loading washing machines also use far less electricity than their top loading counterparts. Annual savings are a reality with high-quality ASKO appliances that last for years of reliable use. Modern washing machines use computerised circuitry, setting them apart from old appliances that have a low-tech but effective analog timer. If you are living in an area where utility costs are high, or you do a lot of laundry every week, an ASKO 10kg washing machine will tick all the right boxes. ASKO washing machine functionality is accessed by fingertip control on the user interface, allowing you to program any wash in a matter of moments, or rely on stored favourites settings for performing regular washing cycles. What are some other advantages of ASKO 10kg washing machines? Cutting back on power and water consumption is a huge plus, and there are lots more ways ASKO ingenuity makes clothes washing a tailored experience. Front loading washing machines are now the popular choice in Australian homes, and price wars go on, but it’s still worth paying a little extra for the right appliance. ASKO high-end products at affordable prices make them a worthy investment as part of a new home build or renovation. ASKO 10kg washing machines are worth getting excited about. There are dozens of programs, modes and features that can be personalised, along with intelligent guidance for setting the exact wash cycle. The ASKO 10kg W4104C.W.AU front loading washing machine has been approved by the Asthma Council as a Sensitive Choice endorsement due to SteelSeal, the hygienic and hard-wearing replacement for rubber bellows and door seals known to collect grit and grime. Laundries have benefited from cutting edge technology as much as any room in the house and making an appropriate washing machine choice requires serious consideration. Here are a few ASKO 10kg washing machine highlights to get your investigation started. 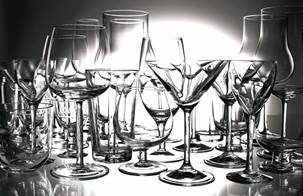 What are the ASKO manufacturing advantages? 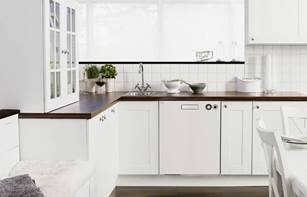 ASKO 10kg front loading washing machines proudly boast the best of Scandinavian style for Australian homes. Seamless manufacture and precise balance are eye-catching introductions, and further investigation is required. The appeal of environmentally friendly, energy efficient appliances is undeniable, and the ASKO W4104C.W.AU front load washing machine surpasses expectations. Superior manufacture of ASKO washing machines is often concealed from sight, with some amazing innovations and features. A more hygienic wash is guaranteed using the SteelSeal solution instead of rubber door seals on your washing machine. Rubber deteriorates and degrades over time, and rubber seals are notorious for inviting build up of dirt and grime. Derived from commercial washing machine technology, SteelSeal means there is no hand-cleaning of the wash drum required, no residual build-up, and clothing can’t get stuck or torn. While most washing machines only have two internal legs, ASKO washing machines have four shock absorber legs that eliminate vibration. You will appreciate quiet and balanced operation during the long life of your ASKO 10kg washing machine. ASKO washing machine drums incorporate special hourglass shaped lifting paddles. All laundry items, including large duvets, are gently circulated toward the centre, while dirt and gravel particles are guided toward evacuation holes for automatic removal. With Active Drum, you don’t have to remove refuse by hand to keep your washing machine pristine. With SensiSave sensors, the size of your laundry load is automatically matched with water levels. SensiSave will save you time and money with both small and large wash loads. ASKO washing machines use a unique tumble and stop motion when filling with water, allowing your appliance to assess water levels at every stage of the wash.
ASKO washing machines are fitted with stainless steel inner and outer drums. 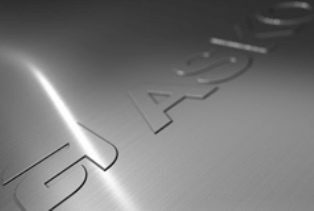 Stainless steel lasts longer, is hygienic, easy to clean and fully recyclable. At ASKO, we believe in both form and function for optimised appliance performance and results. What are the ASKO 10kg washing machine user advantages? The best washing machine brands back up their claims with facts. ASKO have been washing machine manufacturing specialists for generations, and the uptake of ASKO 10kg appliances in Australian homes hasn’t been by accident. With more than 600 ASKO agents Australia-wide, plus a network of service and repair professionals, your product choice is fully supported. The ASKO ideals of superior performance and greater energy efficiency remain unchanged. 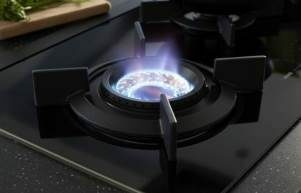 The introduction of state-of-the-art technology and manufacturing processes also provides exciting options for appliance product development. If you haven’t made the quantum leap from outmoded appliances into today’s world of smart appliances, you are in for a surprise. Here are a few more tantalising features of the ASKO W4104C.W.AU 10kg Washing Machine. ASKO advantages go on, including precise temperature control for every wash, and a durable brushless motor for quiet, long-lasting operation. The LCD illuminated user interface provides easy access to every mode and setting, so you remain in control of clothes washing results, and with a little scheduled maintenance your ASKO 10kg washing machine will remain an admirable household helper for many years. What are some tips for buying a 10kg washing machine? The washing machine you purchase should last a long time, so it’s important to make the right choice from the start. There are several major considerations prior to making an educated decision. 1: How big should my washing machine be? As a reasonable guide, there should be some room left in your washing machine once the clothes are in. Your washing should tumble about for an overall clean, so if you have loads of laundry every week or a large household to keep up with, it’s best to opt for a 10kg model with a larger drum capacity. 2: What is the best spin speed for my washing machine? Spin speed, measured in rpm, tells you how many times the washing machine spins in one minute. At 1400 rpm, the ASKO W4104C.W.AU 10kg washing machine is powerful enough to handle the tough stuff. This appliance is perfect for washing bedding and thick towels, shaking out extra moisture with intense spinning, and leaving you with a perfectly warmed and dry wash.
3: Are washing machine energy ratings important? Energy and water ratings are extremely important when choosing laundry appliances. You will save money with every wash by purchasing a highly rated washing machine. In addition, your astute purchase will mean the up-front cost of a top-line brand is offset during the lifetime of the appliance. Purchasing an ASKO 10kg washing machine is the long-term solution for everyday washing troubles. The W4104C.W.AU machine has a 5-star water rating and a 5-star energy rating, allowing you to purchase with confidence. 4: Does the appliance have suitably versatile wash programs? ASKO washing machines are packed with innovative wash cycles that will take care of every item of clothing. Whether you are a sporty family with muddy uniforms to care for, or an allergy sufferer who wants to keep bugs at bay, there is a wash program to suit your needs. The choice is all yours for a quick wash, special wool and cotton wash, dark wash, hygiene wash, or other wash program designed to keep all your clothes and other washables in top condition. At ASKO, we create ergonomic appliances that take over the hard work, allowing you to put your feet up while the chores are getting done. You can even choose the Eco wash program for additional peace of mind. Top loader washing machines have come a long way in Australia, and ASKO is leading the change. How many clothes can be washed in a 10kg washing machine? Choosing a washing machine that suits your household needs is the first consideration. A washing machine that is too small will result in endless washing cycles where clothes remain damp, while an oversized appliance will increase running costs and power bills unnecessarily. You may not be able to test-run your new washing machine, but there are ways to figure out your requirements and choose the right model. All washing machines sold in Australia have a capacity measured in kilograms. For example, a 10kg washing machine can handle 10kg of dry clothes, bedding or other items. Here are some examples approximating to 1kg of laundry. Garments come in all sizes, shapes and materials of various weight, so here is another way to approximate your wash size. 1: Step on your bathroom scales holding your empty washing basket and take note of the total weight in kilograms. 2: Now, step back on the scales a second time, this time holding the washing basket containing a load you would normally wash, and again take note of the weight. 3: Subtract the smaller number from the larger, and you will be left with an estimated kg wash load in the basket. If your average wash load is around 10kg or a little less, you will be well served with an ASKO 10kg washing machine. Are bigger washing machines harder to keep clean? Advantages of technology include appliance self-cleaning capabilities. Your ASKO 10kg washing machine includes the Drum-cleaning program that can be run once per month with a small amount of mild detergent for hygienic and fragrant longevity. The filter and drain hose are also incredibly easy to remove, rinse and replace, making scheduled maintenance a breeze. The solid yet minimalist ASKO washing machine exterior is just as easy to keep looking showroom clean. Simply use a damp cloth and mild detergent. There is no need for abrasive or harsh chemicals that can affect health and the environment. ASKO appliances are built to last, and can look contemporary and clean for their entire lifespan. If you are embarking on a major laundry renovation, now is the time to factor-in washing machine and other appliance dimensions for modern, spacious and built-in appeal. Our freestanding washing machines are solidly constructed, ingeniously designed, and ready to take on the toughest of washes. What about ASKO customer care? ASKO products are supported by a network of experienced professionals. Our relationship extends well beyond your initial purchase, and can include certified installation, ProCare+, an extended warranty, and a lot more. ASKO Certified Installation: Your ASKO appliance deserves professional delivery and installation, along with a demonstration to familiarise you with your product. ASKO certified delivery and installation includes a 2 hour time frame for completion of the work carried out by qualified technicians. All products installed by ASKO include a 12 month warranty for workmanship, and we can even remove your old appliance for you. Extended Warranty: With ASKO, you get an automatic two year manufacturers warranty on washing machines. For additional peace of mind, we also offer an additional three year ASKO total care warranty. Our appliances are built to last, making the extended warranty an attractive proposition. Aftersales Service: We understand that your appliance is expected to work 24/7 if required. That’s why ASKO introduces a 7 day breakdown service. We cover all metropolitan post codes and your enquiry will be responded to promptly by a qualified ASKO expert. We can arrange a 2 hour time frame for performing any service or repair task, allowing you to get on with your busy lifestyle without missing a beat. ASKO 10kg washing machines satisfy the demands of large and busy households where washing piles up endlessly. Your larger washing machine will use fewer cycles to wash more clothes, ultimately saving you time and money. 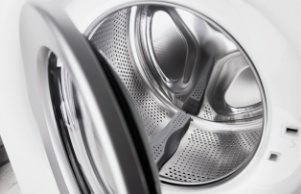 Energy efficient washing is now possible using a larger washing machine, thanks to scientific developments, and ASKO ingenuity continues to improve performance, functionality and manufacturing excellence that stands out from the competition. ASKO has been developing superior washing machines for decades, and Australians are reaping the benefits. 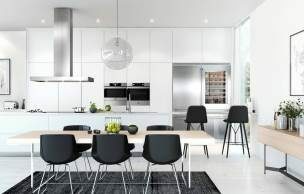 When Scandinavian simplicity meets Australian style, the results are satisfying, and with more retailers than ever showcasing the ASKO range, the choices keep getting better. The ASKO washing machine range for Australian homes is a game changer for laundry convenience. If you believe both form and function are important, while convenient solutions are too good to overlook, an ASKO 10kg washing machine might be the right fit for you. For additional ASKO 10kg washing machine inspiration and more great appliance ideas, visit your nearest ASKO appliance retailer today.